A rich, orange-red colored organic oil from the seeds of the famed Rosehip. This unique oil is extremely high in essential fatty acids and has carried much respect amongst professional journals and organizations as being a great agent in the fight against dry, weathered, and dehydrated skin. It works wonders on scars and is the predominant oil used for treating wrinkles and premature aging. 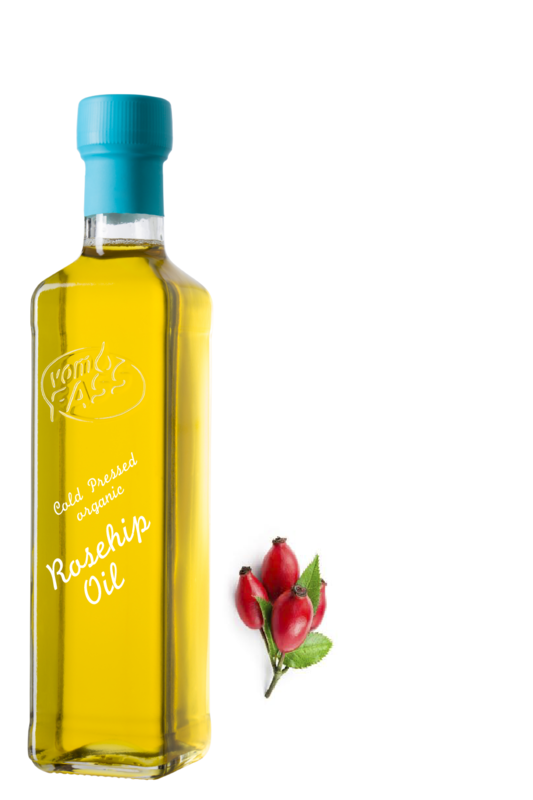 Can be used in all fine skin care recipes Our Rosehip Seed Oil is of highest culinary grade, first cold pressed and from wild growing plants.